IT WAS JANUARY, 2016 and Alex Turner was beginning to wonder whether he’d ever write another Arctic Monkeys song. MOJO 295, featuring Arctic Monkeys, Robert Plant, Grace Slick and a great new music CD. In an unusually straight-talking interview in the latest MOJO magazine, in UK stores from Tuesday, April 24. Turner reveals how he struggled to follow his group’s blockbuster 2013 album, AM, until a string of revelatory incidents – including the gift of a Steinway Vertegrand piano – opened up a new approach to writing songs. 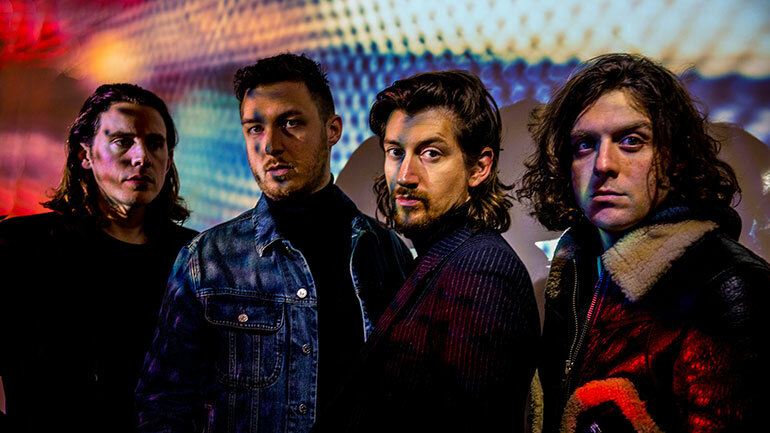 MOJO visits Turner at his home, and convenes the whole band at La Frette studios near Paris, where some of the sixth Arctic Monkeys album – Tranquility Base Hotel & Casino – was recorded. It finds a group much changed – older, wiser, hairier, three of them adjusting to parenthood – and all the more interesting because of it. There are new perspectives on their journey so far, including reflections on their early days, when even their confidants found them intimidating. Drummer Matt Helders ponders the temptations of fame, and whether you can really know if and when you’ve entered the realms of rock star madness. And the group address the challenges of staying creative in a tech-obsessed, entertainment-drenched world that wants everything yesterday. All this, plus the deep listening that fed into Tranquility Base’s woozy soundtrack soundworld, the dangers of waffling on in bars about martial arts, the true meaning of rock’n’roll, and more. BUY THE NEW MOJO MAGAZINE NOW, WHILE STOCKS LAST! Also in the new MOJO magazine: Robert Plant, Grace Slick, Stephen Malkmus, Ryley Walker, Lou Reed, Phil Lesh & Bob Weir, John Prine, Shabaka Hutchings, Eleanor Friedberger, Bettye Lavette, Wire, Rhiannon Giddens, 1968 In Rock, and Le Mystère Des Voix Bulgares. Plus: The MOJO Machine Turns You On 2018, a covermounted CD filled with our favourite new music of the year thus far. Starring Courtney Barnett, Ezra Furman, Jonathan Wilson and many more. 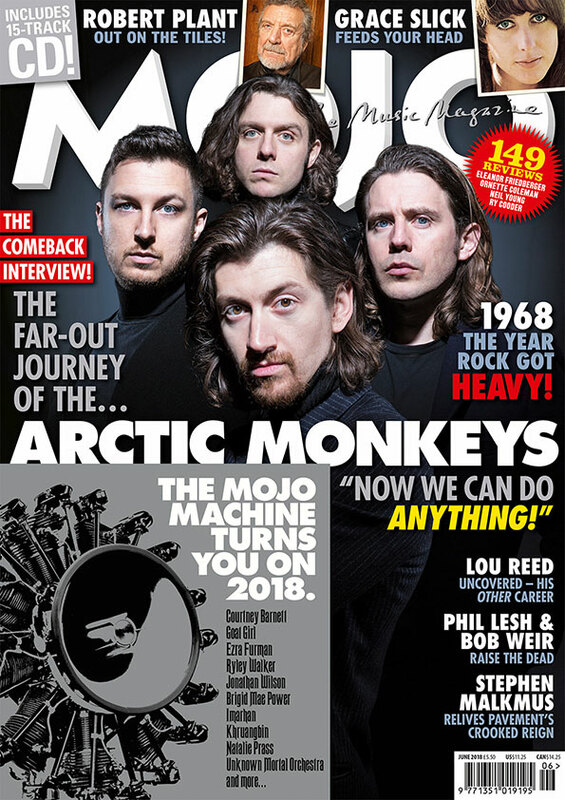 MOJO 295 is in UK stores from Tuesday, April 24. Arctic Monkeys were photographed for MOJO by Andrew Cotterill.